Aircon Overhaul can clean the air conditioner up to 99%. It is the most effective way of cleaning your aircon unit. There are 2 major benefits when you engaged us in Singapore to provide aircon overhaul. 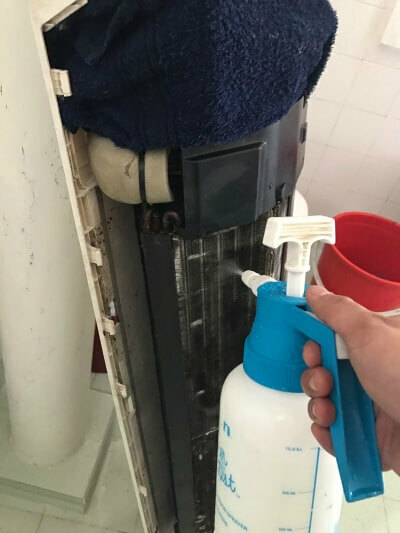 For cleanliness benefits, your air conditioner will get a refreshing smell as the clogged dirt, mould and fungi, which stained inside the air conditioner, have been flushed out. There will be less nose irritation for people who are young, old and weak. 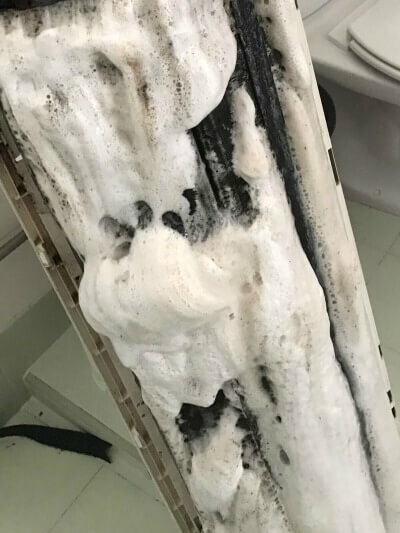 It avoid fungi and bacteria grow into a larger germ pile within the air conditioner. For cost saving benefits, you can feel more cooling air than before, as the blocked air flow got cleared out. This means your overhauled air-con unit can reach the desired temperature faster. It helps save energy, thus save electricity bills. It also reduce maintenance cost as the aircon do not have so work hard to get to the desired temperature. Hence, it prevented air conditioning frequent failure. This leads to earlier aircon replacement due to a longer air conditioner lifespan. In Singapore, a lot of the time people do not know what they are paying for aircon overhaul. Here, we are taking a closer look on how aircon overhaul is done. Disconnect aircon power cable, refrigerant tubing and aircon drain pipe. After the air conditioner overhauled, we can see that the drain pipes are also cleared. This is one of the solution for aircon leaking that caused many headache to our aircon user. There are no difference between Aircon Overhaul and Aircon Chemical Overhaul, as many people shorten it for faster communication. However, there is a difference from Aircon Chemical Wash, read here to find out more. If you want advice on whether your air conditioner need overhaul, please contact our aircon specialists now and we are there to assist you.